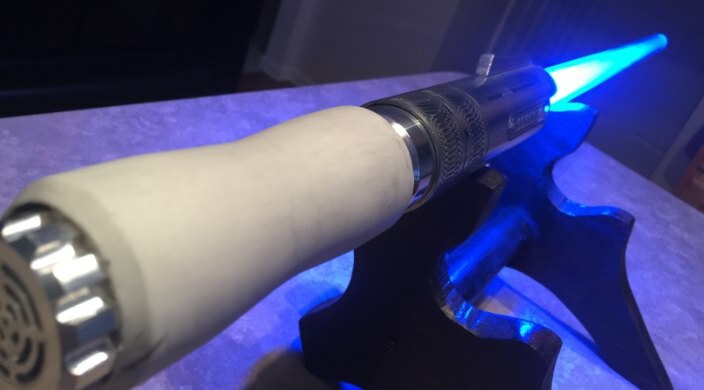 Was looking around at some other saber smiths and their work- and i always wanted to *attempt* to make a bone hilt. (a la Madcow style) This is about as close as i could get. 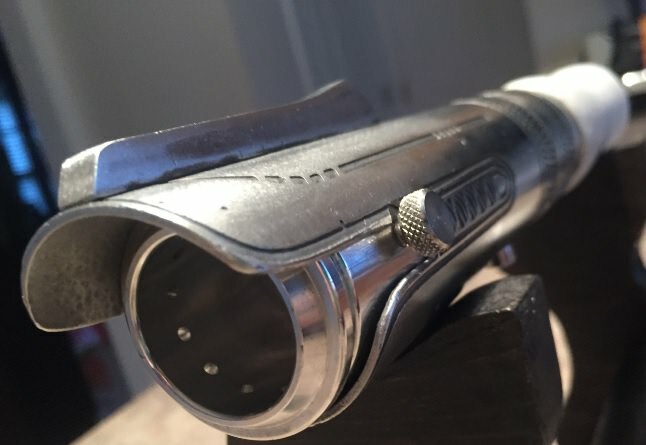 It's supposed to be a Jedi archivist's weapon- so i initially wanted to do a really complex etching for it- but i didn't have the time to do that this time around- so i opted for a more simplistic approach. Thanks for taking a look. Cheers! This is such an amazing design! I love the intricate details along the middle section. Great work! Your shroud-work is inspiring. You really push the limits of what an acid-etch can accomplish. We shall see how I fare when I try acid etching myself. Absolutely amazing. Love this design. Excellent work!